When I first saw this photo in the summer of 2011, I knew almost nothing— I didn’t know who was in it, nor even my grandmother’s maiden name. I figured the older couple was my grandmother’s parents. Were the others their children? Could one of them be my grandmother? And who was the boy in the front row? My brother Chris and cousin Krysia almost immediately recognized the woman on the bottom left, as our grandmother. With her coquettishly tilted head, her stylish clothes, and her hand resting on her mother’s wrist, it seemed likely to me, too. But I wanted to be sure. This photo has proven to be an essential clue in my search for family history. Many of the cousins I have met are familiar with the photo and helped me identify everyone in it. In fact, it has helped me establish connections with cousins, and served as proof that we are actually related. When I contacted Pini in Israel, he was skeptical at first that we were cousins. But when I sent him this photo, he responded, “Welcome back to the family.” And he meant it. I feel embraced by the large clan of descendants of my great grandparents, the elderly couple in the photo whom I now know are Hinda (nee Walfisz) and Hil Majer Piwko. And it is indeed my grandmother Halina in the bottom left corner. This photo has led me to living relatives, and back to the time depicted in the image. It helps me see and feel what family life was like back then, and adds depth to my understanding of the dry genealogical facts I have gathered. Even my uncle Stanley Winawar has spoken to me from the grave in the form of a letter he wrote to Pini in 2002 (just two years before his death) in which he identifies everyone in this photo, and lists many of their descendants as well. One of my regrets is not having started this search sooner so I could have talked with Stanley and others before they died. At least through the letters, I’ve had a taste of the conversations we might have had. Starting at the top left, most people identify the elegantly dressed woman as Sara (Piwko) Winawer, Uncle Stanley’s mother. Born in 1880, she was the second daughter of my great grandparents. On a list compiled by my Aunt Pat (probably based on a conversation with my grandmother’s sister Hanna/Nunia), she is described as having “beautiful hair.” She married Saul Winawer in 1899, and they had four children (Nathan, Milton, Stanley, and Paulina). My mom stayed in touch with her aunt Sara in the United States, though she was known in my family as Lusia (apparently no one besides our branch of the family called her that). She died in 1964 when I was 6 months old. She was too sick to visit me, but told my Mom on the phone that she would watch over me from heaven. I only heard this story once or twice when I was a child, but it left an impression on me. I liked the idea of having a guardian angel of sorts. Who knows? Maybe it foreshadowed this search for deeper connections with my mother’s extended family. Next in the top row is Jakub, the oldest son born around 1874. Aunt Pat says he had four wives, including Helen Esther Kirsten, Genia Ellinberg, and Rozalia Kirsten. She (Nunia?) describes him as blond, delicate, of medium height, resembling his maternal grandfather Natan Walfisz. 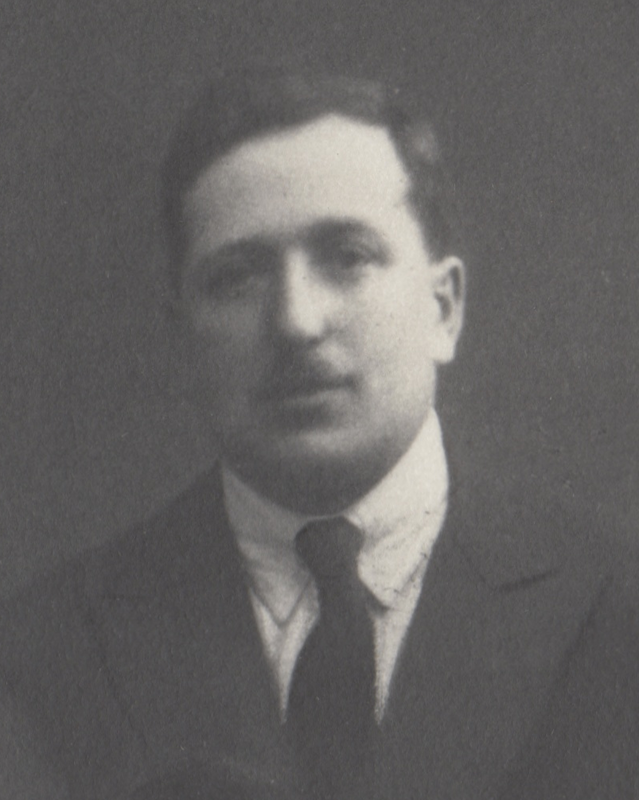 He was a Zionist and member of the governing board of the Jewish Community of Włocławek from December 1917 until resigning on March 3, 1922. He was also a representative on the City Council from 1917-19 (see virtual sztetl). Jakub died in 1942; by one cousin’s account he owned a small hotel in Otwock and was shot by Nazis for being out on the street after curfew. He had a son Natan who emigrated to Israel and a daughter, Pola. 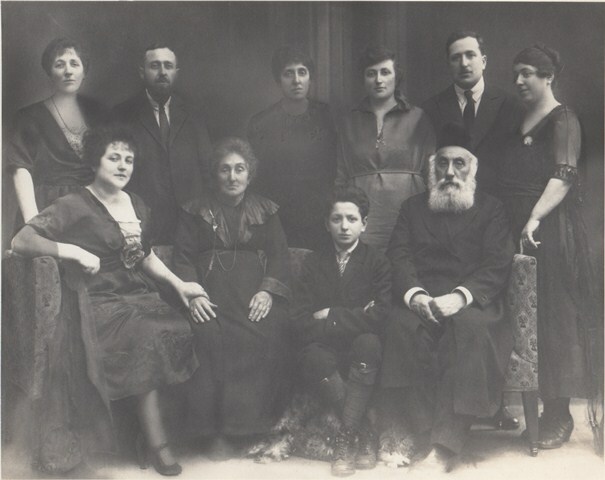 In a letter to Pini, Stanley (Sara’s son) wrote, “The space missing between Jacob and Liba was obviously reserved for Yona…” Abraham/Abram, the second-born son, was called by his middle name John/Yona/Janas. Born around 1876, Pat (Nunia?) describes him “devil eyes, tall, brunette, liked girls and girls liked him, 6’ 2”-6’ 4”.” He was the first in the family to come to the United States, arriving in New York in January 1906. 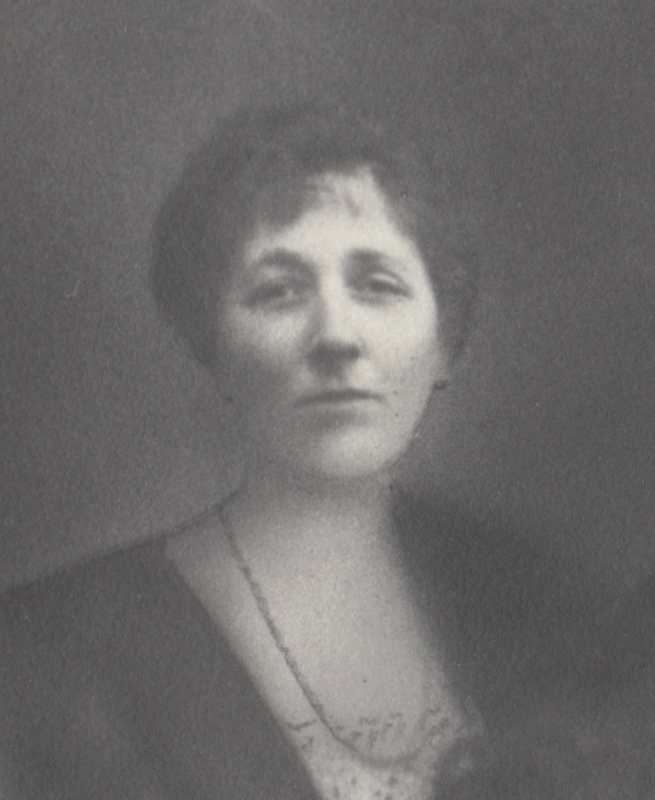 His wife Bertha/Blima (they married in 1901) followed in May 1907 with their children Nathan, Paula/Pauline, and Ewa. A fourth child, Sarah, was born in New York. Abraham owned a bakery in Brooklyn until his death in 1925. In the middle of the top row is the oldest child Liba, born around 1872. Aunt Pat’s list (Nunia’s description?) says she was tall, blond, and beautiful. At the age of 17 or 18 she married Jakob/Jankiel Winawer. I don’t know how he was related to Saul Winawer (Sarah’s husband), but some say they were cousins. Liba and Jakob had four sons—Nusen, Sol/Saloman, Max, and Morris. 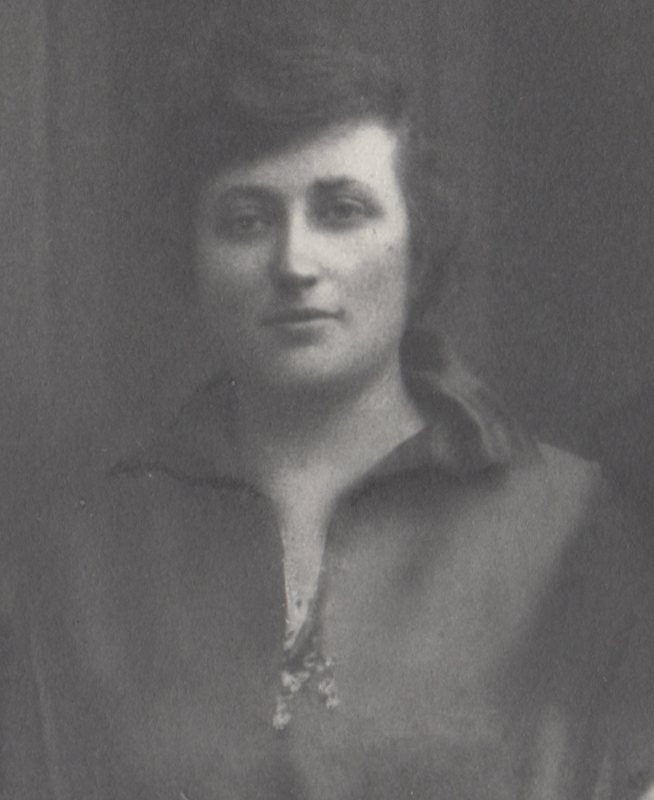 In 1928, Liba and Jakob came to the US, where their three younger sons were living. Jakob died there in 1932, but I haven’t found a record of Liba’s death. Did she die in the US? If so, why isn’t it documented? Could she have returned to Poland, where her oldest son still lived? Could she have died in the death camp at Treblinka in 1942, as some say Natan did? Next to Liba is Hanna (born around 1886), though everyone in the family called her Nunia. I’ve already written about her, but briefly, she married Stanisław/Samson Cytryn and had one daughter, Teresa. She and Samson lived in Warsaw where they ran a shop that has variously been described as a pharmacy or a supplier of lotions and toiletries. Maybe she was an herbalist and so offered products that crossed the boundary between health and beauty? 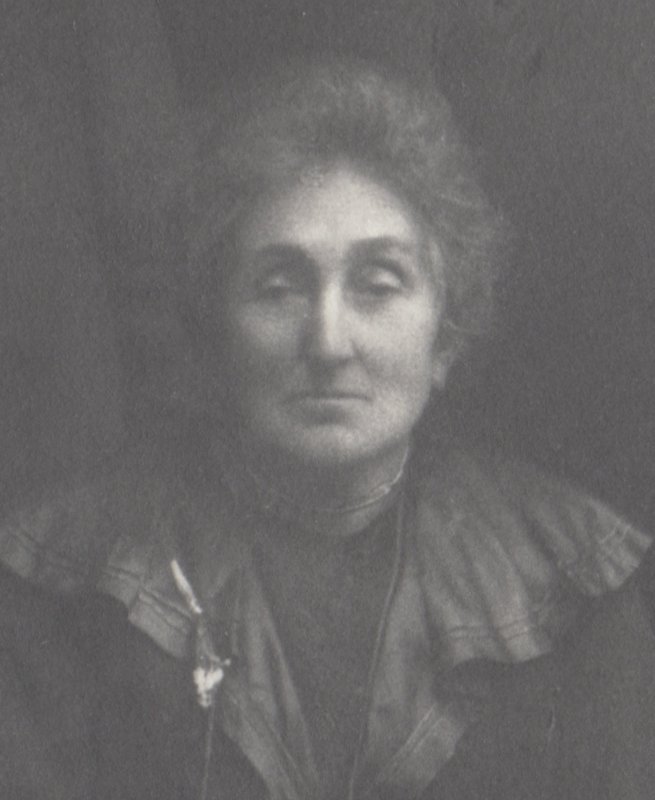 She took over the shop after her husband’s death in 1927. Nunia spent World War II in Warsaw under the false identity of Maria Weglinska (the name she kept until her death in 1984) After the war, she lived in Paris, and then in 1951 she moved to the US. Next is Philip/Efraim, described by Pat (Nunia?) as “six foot, blond, pock marked, shy, sweet.” Born around 1882, he came to the US a couple of years after his brother, at the end of 1907. He, too, owned a bakery though I don’t know if it was the same one as his brother or a different one. Philip married Goldie. They never had any children of their own, but they took care of siblings, nieces, and nephews as they immigrated to the US. Many of the cousins remember him as the glue that held the family together in the US. Philip died tragically in an auto accident in 1947 on his way home from Boston. At the far right of the top row is Rachel, who was born around 1890 between Hanna and Halina (my grandmother). Pat (Nunia?) describes her as shorter than her sisters, with thick thick hair. 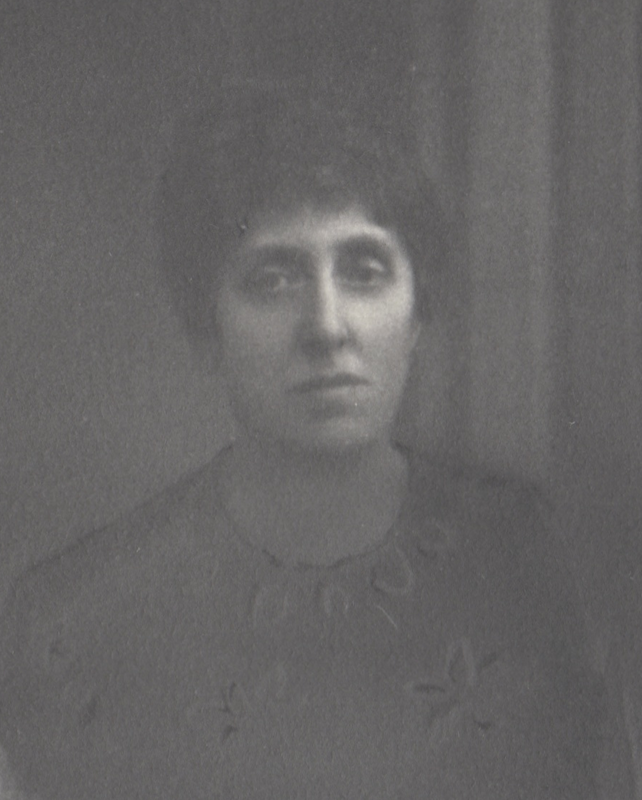 She married Pinkus/Pinchas Kolski, the widow of her older sister Regina who died giving birth to a son, Natan. Rachel raised Natan, and had four more children with Pinkus—Samek, Abram, Naftali/Maniek, and Mirka. They settled in Włocławek, where they had a store right in the center of town. 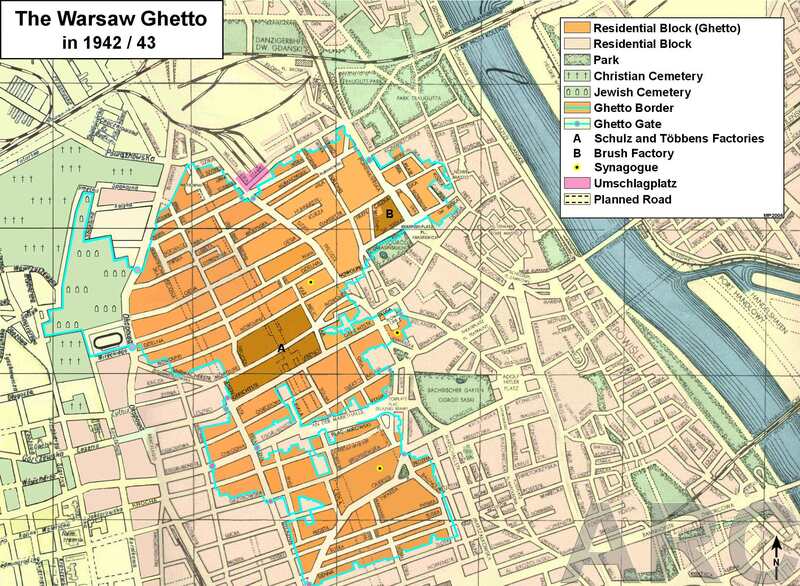 After the war broke out, Rachel, Pinkus, and Mirka (who was just a teenager—she was ten years younger than her youngest brother) were moved to the ghetto in Warsaw. Pinkus, who was in ill health, died there in 1940, and Rachel and Mirka escaped and lived on the Aryan side under false papers. After the war ended, they joined Natan, Abram, and Maniek who were living in Israel. Rachel died in 1969. On the bottom left, as I have already said, is my grandmother Haja/Halina, born in 1894. Seated beside her is her mother, Hinda (Walfisz) Piwko, while her father Hil Majer Piwko is on the far right. The young boy is Natan, the son of Regina and Pinkus Kolski. Perhaps he was there in his mother’s place, just like a gap was left for Abraham/John? Natan is said to have spent a lot of time with his grandparents. His position between them suggests they were very fond of each other. And I almost forgot one more member of the family—the dog under the couch behind Natan’s feet. Could this have been Natan’s dog? Another sign of the favor of his grandparents? I don’t know but I like to think of it that way. So that’s my grandmother’s family, excluding only Małka who died as a teenager and two other siblings who died as infants. 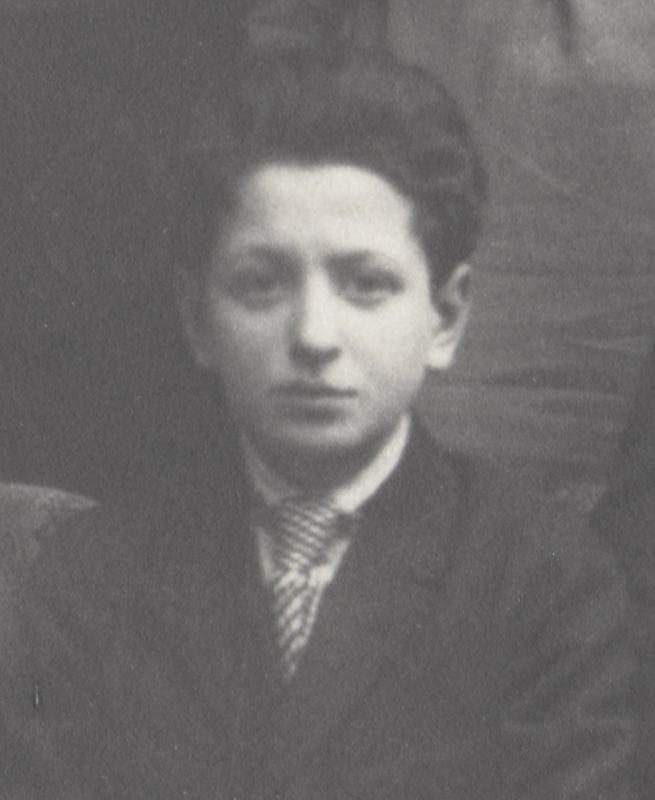 Considering Natan was born in October 1905, I would guess this photo was taken near the end of the 1910s, maybe in 1919. Natan looks like he’s about 12, like my son is now, or maybe a little older. It seems unlikely the photo would have been taken during World War I, especially because of Philip’s presence. Philip was living in the US already (he is listed in both the 1910 and 1920 US census) and I don’t think he would have made the journey during the war. 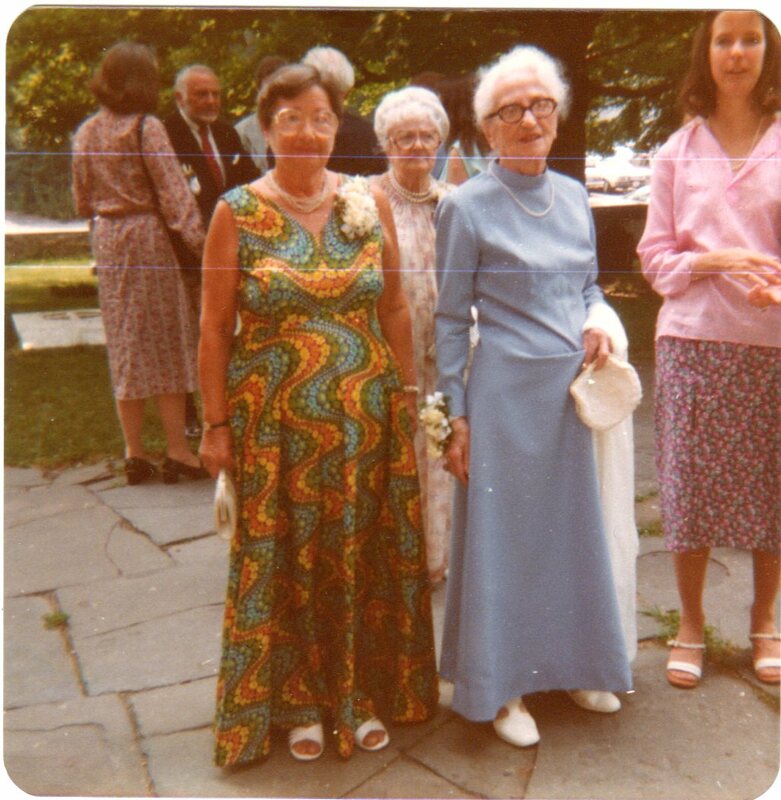 I don’t know enough about the history of fashion to be sure, but Halina’s dress seems scandalously short for the period, and even Rachel’s hemline is a few inches above her ankles. Still, I read that hemlines started to rise in Europe in 1915. I wonder, as well, whether Hanna’s comparatively simple dress was because she was less well off than her sisters, or perhaps was rather due to a more practical nature (which fits with how I remember her). The photo is a window into the past. In it, I see a large, affluent, close family, but one in which social and cultural divisions were growing through the generations. 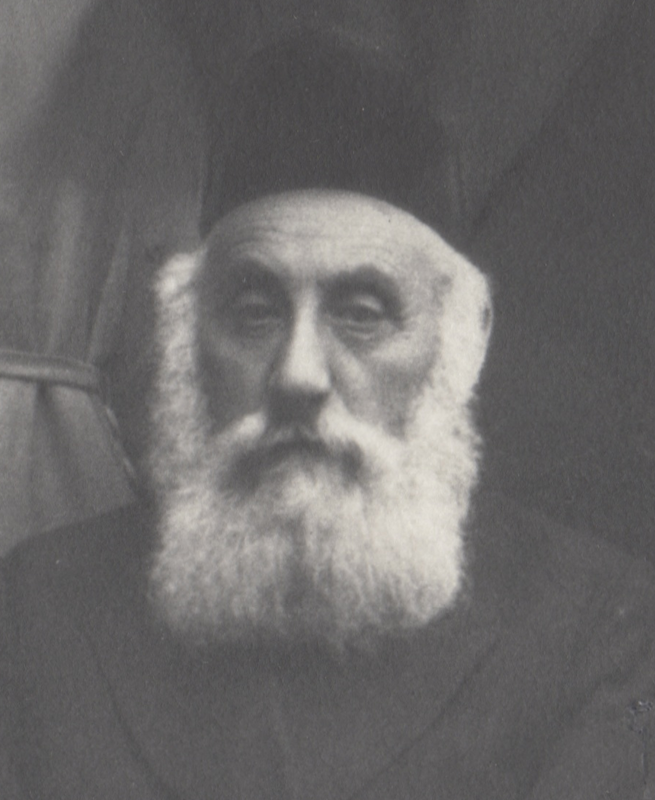 While father Hil’s thick beard, black cap and long coat were characteristic of a conservative, religious Jew, his older son (the Zionist) had a shorter, more trimmed beard, and his younger son, by now an American citizen, sported only a moustache. The twenty-two-year gap between Liba, the oldest sibling, and Halina, the youngest, also seems apparent in the way they carried themselves and dressed. I’ve learned a lot since I pulled this photo out of the envelope my grandmother had marked “Do Not Open.” And yet it all remains fragmentary. Most of the richer details are tentative, based on stories I try to piece together into something more substantial. But the fragments stand stubbornly apart from each other, and sometimes even in opposition to each other. Did Rachel accept her sister’s son Natan as one of her own, or did he spend much of his time with his grandparents? Perhaps it was both, since Hinda and Hil also lived in Włocławek later in life. Why does Liba seem to be retreating into the background? Is it just an accident of the lighting or a reflection of her character? Why was my grandmother holding her mother’s hand like that? Was it a sign of affection or perhaps an assertion of autonomy? The more I sit with this photo, the stronger I feel a connection with these people. And still, how distant they remain from me. The Business Directory of Poland and Gdańsk (Danzig) from the years 1926 and 1930 are available online. My Mac can’t read the djvu format the documents are in, but fortunately I was able to view them at the university library. I found some interesting listings—tiny fragments that support bits of information from other sources. I found a store in Warsaw selling “składy apteczny i perfum,” pharmacy ingredients and perfume. The business is listed under “S. Cytryn,” which was my grandmother’s sister Nunia’s husband’s name. Further, this fits with my mom’s description of Nunia as “something like a pharmacist.” The business was listed again in the 1930 issue. 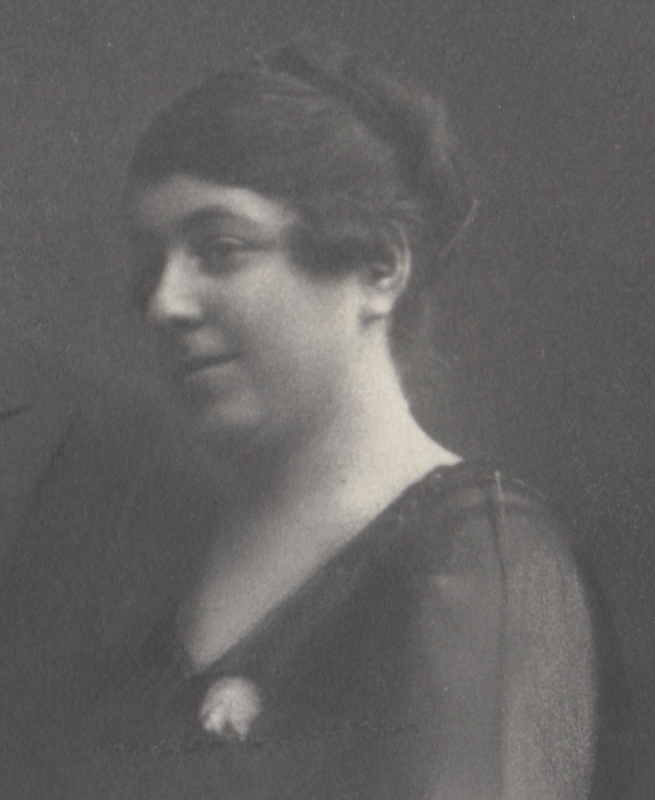 If this is Nunia’s husband Stanisław Cytryn’s business, it supports the family story that she maintained the business on her own after her husband died in 1927. The address listed is Leszno 113. And here I move deeper into the realm of speculation: According to Google Maps, several apartments blocks sit where this address used to be. This is at the intersection of ul. Młynarska, after which the street takes on a different name, both on historical and contemporary maps. In what is likely a coincidence, a pharmacy, Cefarm, is right across the street at Leszno 38. Could the address numbering have changed? Google Maps doesn’t seem to list street address numbers beyond the 50s. In a map I found at http://warszawa.fotopolska.eu, showing prewar photos, I don’t see any listing for 113, either—in fact, the highest I saw was for #54. 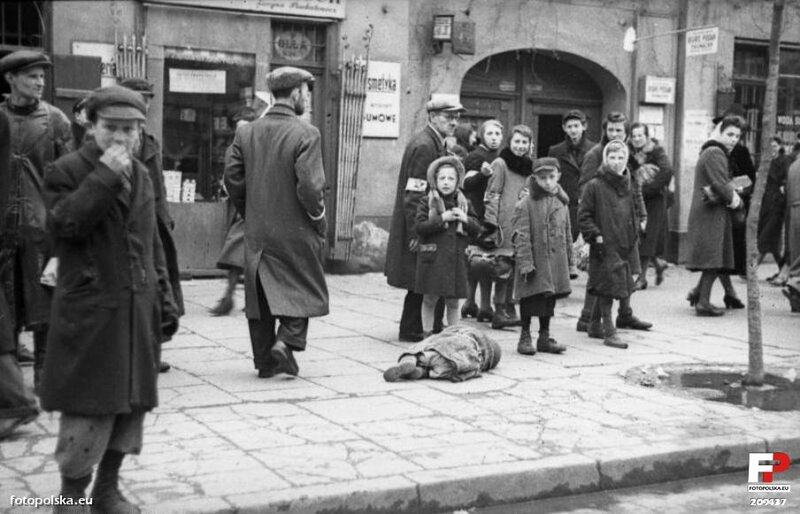 Still, a photo taken outside Leszno 43 was inside the Jewish Ghetto, while Google Maps pinpoints #113 about three blocks outside of the ghetto. The photo seems to show a child curled up on the sidewalk (sleeping? Ill? Dead?) being ignored by pedestrians who walk by or grin into the camera; one woman is glancing over her shoulder, but she too might be looking at the photographer and not at the prone child. Other Warsaw listings include the Lourse “fabr. czekolady i cukiernie” (chocolate factory and pastry shops). In 1926 the addresses are Krakowski Przedmieście 13 and Senatorska 23, Teatr Wielki. The comment (dawne Semadeni; formerly Semadeni’s) is in parentheses after the second address. Here are more clues that fit with family stories. As my mom described, one Lourse Café was located in the Europejski Hotel at the corner of Krakowski Przedmieście nearest the Old Town while the other was in the Teatr Wielki. She also described how Papa (her stepfather) was first in business with the “great Semadeni family,” known for their sweet confections since the beginning of the 19th century. Later, he bought them out. In the 1930 business listing, a third address is added, Leszno 64, the same street as Nunia’s pharmacy. In Warsaw H. Winawer is listed in 1930 as “fabr. knotów do lamp,” factory of lamp wicks at ul. Chłodna 43 in Warsaw. 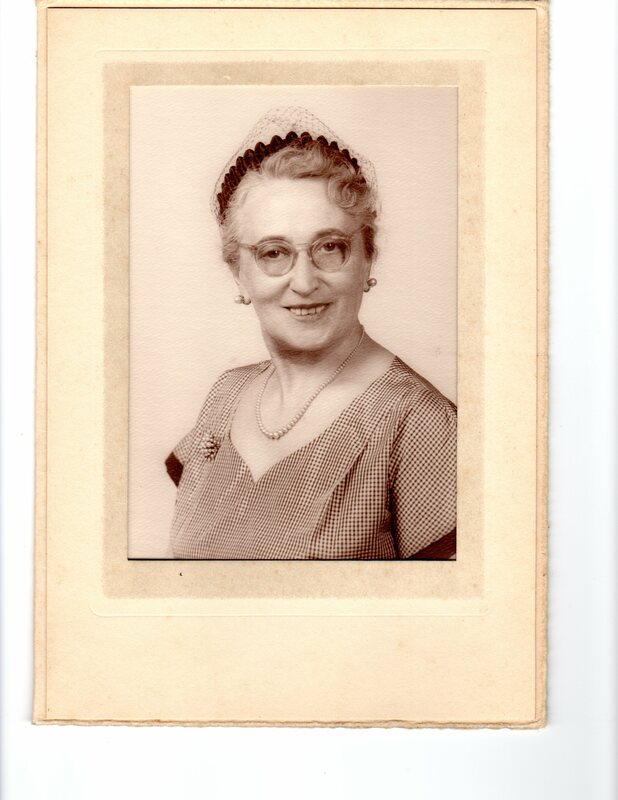 Cousin Joan, whose maiden name was Winawer, sent me the following account in November: “My father told me that his parents had a millinery factory. His father “studied” and his mother ran the factory. He had a governess and went to gymnasium. One of his brothers worked in the factory. He never spoke of grandparents. He had very pleasant memories of his childhood. From all the conversations I always got the feeling that there was a great deal of money. If my father’s story was true (not just memories that got changed) there might even be a record of the factory.” This week, she added, “My father would say that he was from Warsaw, but cousin Herbert (Melodie’s father) said that they were really from Lodz. He might have been correct.” While I would like to think the owner of the lamp wick factory is a relative, by 1930 most of the Winawers in the family were in the US. Two of my grandmother’s sisters married Winawers. Liba married Jacob; their sons were Natan (Nusen), Sol (Saloman), Max, and Morris. Sarah married Saul; their sons were Nathan, Milton (Mordko), and Stanley (Samuel). No one had a name starting with “H.” It can’t be Max’s son Herbert because Herbert was born in New York in 1929. So I still need to search for “our” Winawers’ factory; it probably wasn’t this one. Yes that is my grandfather; they had a store in Tumska 3 (I was there) but the store was handled by Rachel Piwko Kolski-she was the manager. He was a big business man who imported from Brazil and other places from all over. Natan Kolski left Poland in 192?? 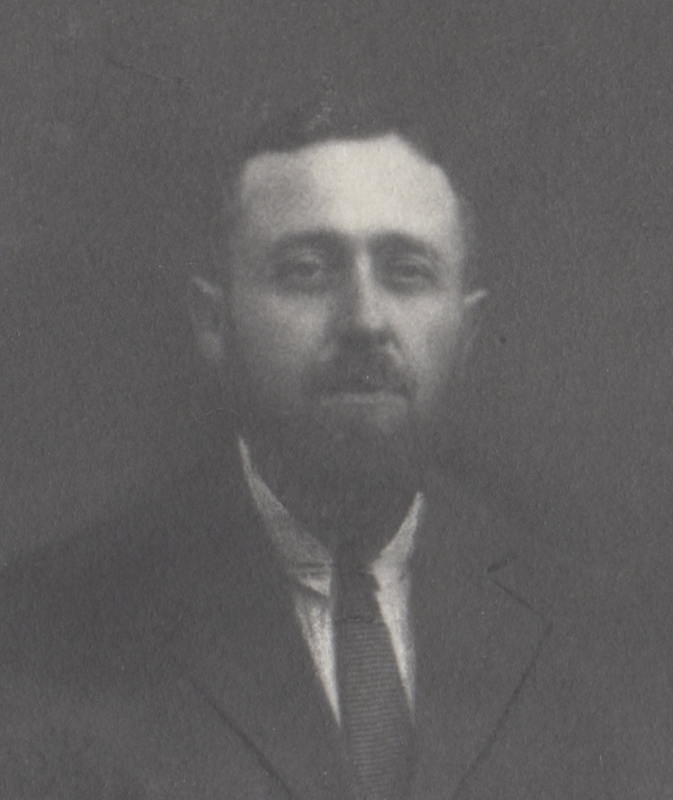 to Israel with his wife and 2 daughters (Sara & Judith ) to run Pinkus Kolski business and lands that he bought in Israel (1912-1938). He was the first son that came to Israel, then Abrash and my father came in 1932. The house in Tumska 3 in Worzlavek is still there (next to the big Church and the Vistula River). 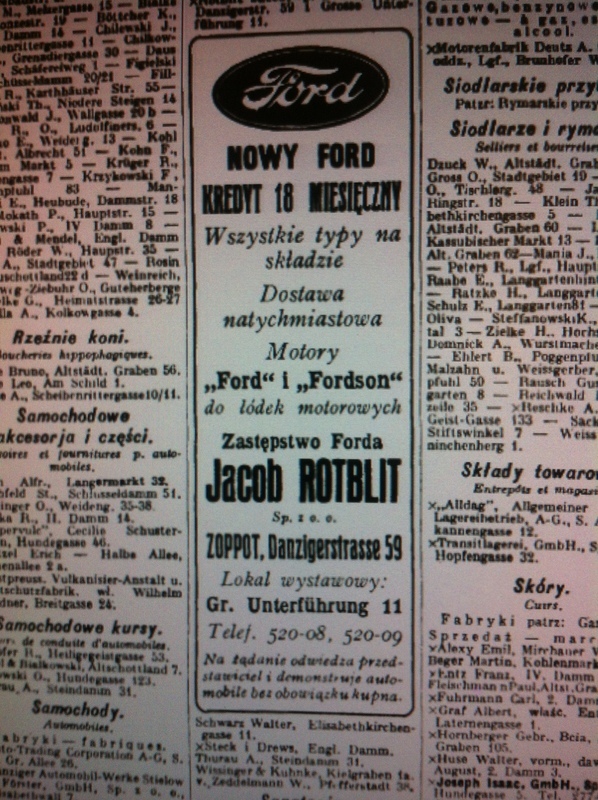 In the 1930, but not the 1926 Gdańsk listings, under samochody, automobiles, is an ad for Jacob Rotblit’s Ford dealership in Zoppot—the Baltic Coast resort town of Sopot. Sopot is between Gdańsk, which was the free city of Danzig between the world wars, and Gdynia, the industrial city that grew up across the Polish border. 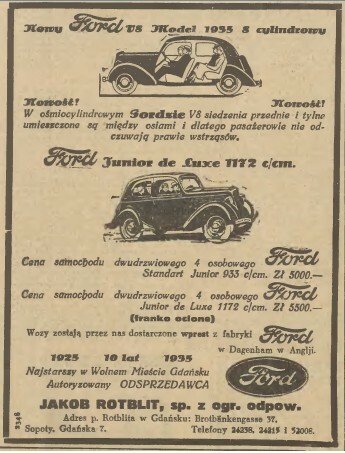 I’ve also found ads for this dealership in Gazeta Gdańska from 1935. My mom remembers visiting Rotblit, her biological father, at the Baltic Coast when she was about 13 (so around 1935). Aunt Pat has in her notes that Rotblit sold jewelry, and then automobiles. The business directory listing could well be another sign of my elusive grandfather—the one my mother and her brothers tried to forget. I don’t know why, but I’ve been thinking about Auntie Nunia today. She was my babcia’s older sister, the only one of her siblings I knew growing up. Nunia was an extraordinary woman, though in a different way than my grandmother. Whereas my grandmother was beautiful, charming, and (to borrow a word from my mom) vivacious, Nunia was a powerhouse of energy, straightforward, and yet at the same time nurturing. From the age of ten or twelve, she was my role model for how I wanted to live my life. It seemed she could do anything, and she was never idle. She knitted our bathmats. My mom would bring her our clothes in need of repair and she would fix them all. She even darned our socks. For years, I wore a robe she made out of a patchwork of hideous fabrics. It had an orangy-yellow lining and trim, and I can’t remember now if the rest was made of scraps of loud upholstery designs or maybe just flower-power prints. I wore that robe for years, and had a hard time giving it up even after I realized I was allergic to it. Instead, I tolerated the runny nose and sneezes. Auntie Nunia gave my younger brother Chris and me new blankets when I was about five. I think it was to replace the baby blanket that I was having a hard time letting go. Or maybe I just associate it with my blankie’s disappearance because I got it at about the same time. I still have this “big girl” blanket even though the blue calico has split and frayed. Maybe in homage to Nunia’s patchwork robe, I have been patching the blanket with scraps of old fabric and clothing for years. I don’t think I’ll ever catch up with all the new holes that keep forming. I guess sentiment about people and the stuff I associate with them has mattered to me for a long time. I don’t know much about Nunia’s (or anyone’s) life in Poland. She was several years older than my grandmother, born in 1886 according to Aunt Pat’s records, or in 1889 according to her US naturalization and social security records. I remember Mama mentioning that Nunia and Babcia took a few years off their ages when they emigrated. Nunia’s exact name is also complicated. In the US, her legal name was Maria Weglinska, but her birth name was probably Hanna. I’ve also heard her called Anna, and more recently by our Israeli cousins Hanale. I onced asked my mama what her real name is—even though we called her Nunia (or maybe Niunia), I knew her legal name was Maria and I had also heard her called Anna. I remember being told that she was actually Anna Maria. In retrospect, knowing what I know now, I was probably told something to the effect that she was both Anna and Maria, and I turned it into Anna Maria in my own mind. The origin of Nunia (Niunia) is easier to explain. It is a nickname and expression of affection, sort of like calling someone “sweetie.” Niunia can also be a diminutive of Anna. Another ambiguity involves the nature of Nunia and her husband’s profession. I have been told she was “something like a pharmacist,” and they had a shop in Warsaw. Somewhere, I’ve seen it listed in Polish as “drogeria” which can be a drugstore, though today it is more commonly a store that sells shampoos, lotions, and cosmetics. 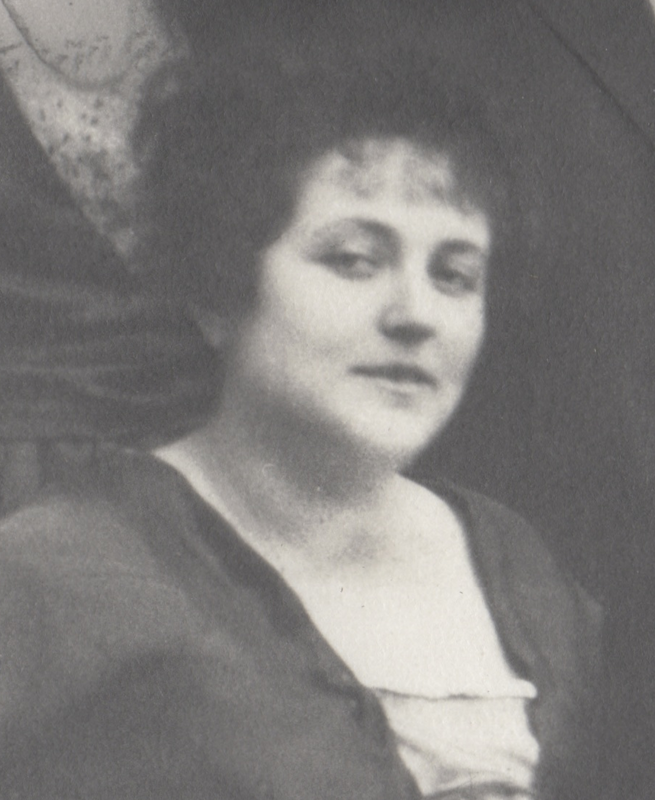 A pharmacy is more commonly called “apteka.” Nunia’s husband died in 1927, so from then she ran the business herself. When Babcia ran away from home, she went to live with Nunia in Warsaw. Maybe that is when their close bond solidified, despite the eight-year difference in their age. By some accounts Babcia left because she wanted to avoid marrying anyone her father chose for her. By others, she wanted to go to university. I imagine, too, that she wanted to be in the capitol city where more was happening. I also suspect it was around the time the youngest sister (and the person my mother was named after) Maria Renata committed suicide at age 17, so around 1913. I don’t know what they did during World War I, but during World War II Nunia was in the Underground Army. She ran a printing press in the basement of her store. Mom also told a story about being forced to leave Warsaw after the Warsaw Uprising. She walked south with many other civilians and insurgents who were being led to a camp. When I asked how she escaped, she said she and Auntie Nunia just walked away. As she described it, there were so many people and lax security so they were able to just separate themselves and hide in a village. Why was she with her aunt? Where were my grandmother and grandfather? I don’t remember these details. Maybe I didn’t think to ask these questions. I’ve found a couple of interesting documents for Maria Weglinska on Ancestry.com. The first shows her on the passenger list of the ship “Ile de France” that left LeHavre, France on April 27, 1951 and arrived in New York City on May 3rd. Under “nationality,” “Polish” is crossed out and she is listed as “stateless.” The other is a US naturalization record dated July 17, 1956 and listing an address in Roslyn Harbor, the same town my grandmother and mother would have been living in at the time. I don’t know what she did between the end of the war and the time she came to the US. By the time I knew Nunia/Hanna/Anna/Maria, she was living in Norwalk, Connecticut on the second floor of an old house. We visited often, all six of us piling into the car for the 1½ hour trip. We parked on the street. The house was above street level, and a retaining wall of round stones separated the raised lawn from the sidewalk. Inside, a narrow, dark wood staircase led up to Nunia’s place. She always kept hard candies in a covered crystal candy bowl. There and at her daughter Teresa’s were the only places I ever ate Polish food. My mom never cooked it; she said she didn’t like it. Nunia, however, was an amazing cook. I remember the mushroom barley soup and gołąbki (stuffed cabbage) particularly. She also made the most incredible apple strudel with a lattice top. My brothers and cousins all talk about it. It seems we all remember that apple strudel. The memory has faded, but I think the apples were chopped and maybe precooked a bit, like they are in Polish szarlotka. I also picture large granules of sugar sprinkled on top, but I’m not sure about that anymore. Even though we ate ourselves silly while at her apartment, Nunia always packed sandwiches and fruit in paper bags for us to eat on the 1½ hour drive home. Somehow, I always ended up eating something right around the halfway mark on the Throgs Neck Bridge. Often, I fell asleep leaning against my oldest brother Ron’s shoulder. Once, when I was very young, may be just five or six, I went to stay a few days with Auntie Nunia. I got homesick and started crying so my dad had to drive back and pick me up earlier than planned. And once, when I was maybe eight, Nunia came to our house to take care of us while my mom went to the hospital for an operation. We loved having her there, but she was much stricter than mom. One day, she told me to sweep the living room. I refused, saying Mom never makes me do things like that. So she sent me to my room, saying I should stay there until I decide to sweep. It didn’t take me long to come out and sweep. She didn’t say anything more to me about it. Both my parents loved Auntie Nunia. My mom said that Nunia was there for her when her own mother abandoned her. This happened at least twice in her life. The first time she was only two or maybe four, and she and her brother George were left with Nunia when Babcia went off with Zygmunt Bereda. Mama remembers being frightened by a swing in the hallway of the apartment. The second time was when Mama was a mother of four young children, and Babcia moved to Puerto Rico. Auntie Nunia stepped in and acted like a mother/grandmother to us. Babcia and my dad didn’t much like each other, but he loved Auntie Nunia. He said she reminded him of his late grandmother, to whom he was very attached. Nunia showing off her figure at her great-granddaughter Ricky’s wedding. From the left, Teresa (Nunia’s daughter), Babcia, Nunia, and my cousin Alexandra. July 1979, when Nunia was about 93. Nunia lived alone in that apartment in Norwalk until her early 90s. She would walk every day. She remained slim, explaining that she always leaves something on her plate. Around the time I started high school, Teresa persuaded her to move with her to Florida, but she never liked it there. She died in 1984 shortly before her 98th birthday.